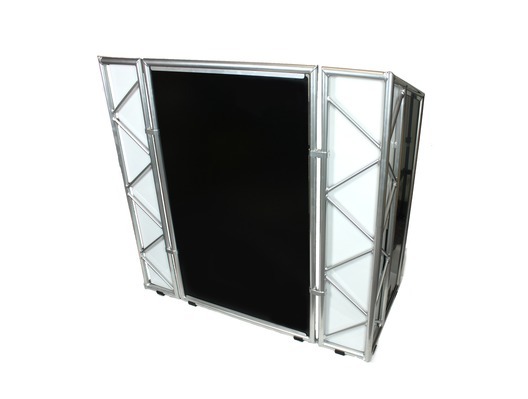 The LiteConsole Élite is a stylish, practical DJ stand and its foldable flat-pack design makes it convenient for taking on the road with you. The Élite has a fast build-up time that can be as short as three minutes, and features a robust but lightweight aluminium frame structure that when flat-packed only weighs 30kg. 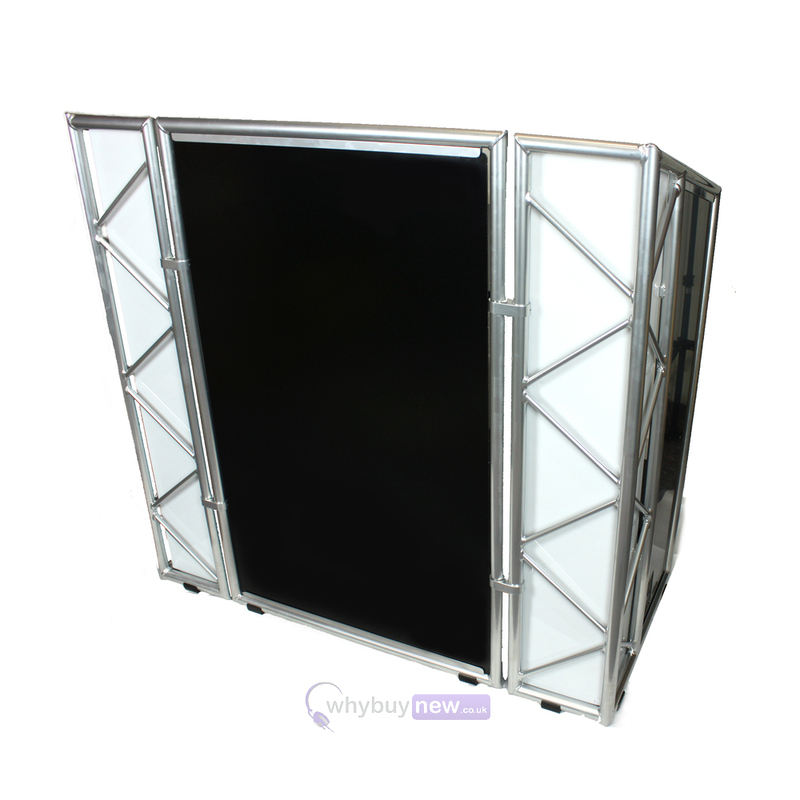 This fantastic folding stand is ideal for DJs, performing artists and corporate events. The LiteConsole élite incorporates immaculate design, stunning presence and pure engineering genius which definitely reflects homage to the original LiteConsole fabricated in 2008 for global DJ Paul Oakenfold. 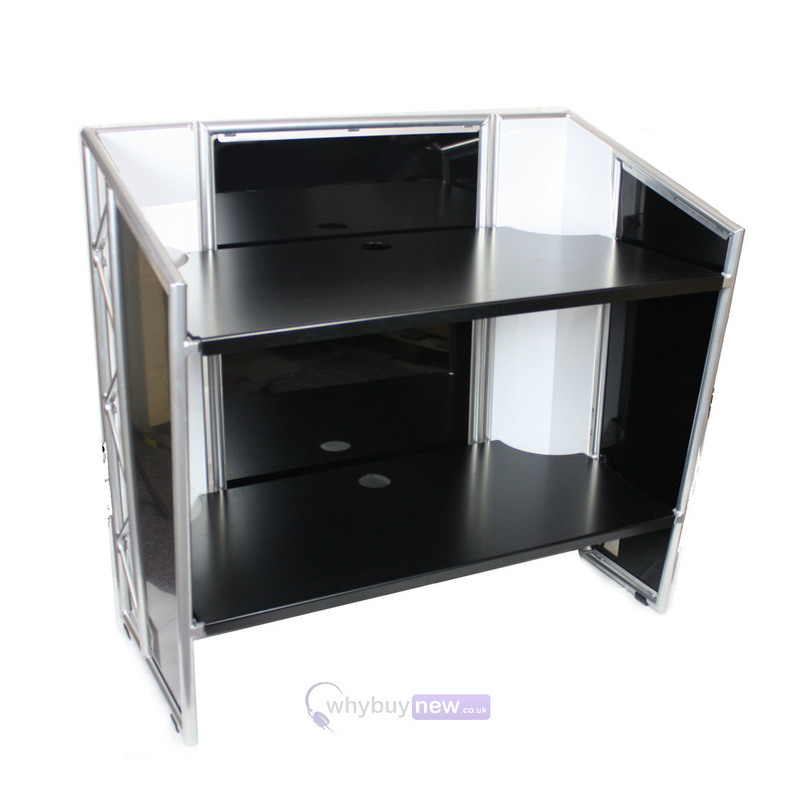 The LiteConsole élite features an ingenious powder-coated chrome effect aluminium folding frame which contains a large matt black front panel and two matt black side panels. These panels are made of very sturdy aluminium compound which can easily be branded or, if required, be replaced with other suitable materials such as acrylic. 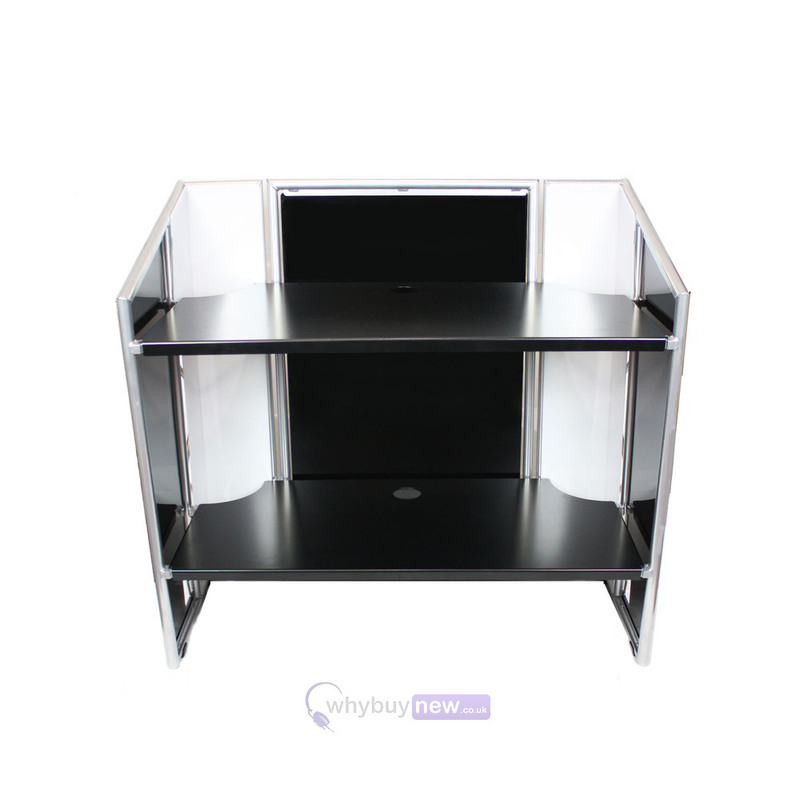 The two interior shelves are made of rigid 3mm aluminium (with 80mm cable drop holes) that firmly lock into the frame which gives the élite its amazing, rattle-free, sturdiness. 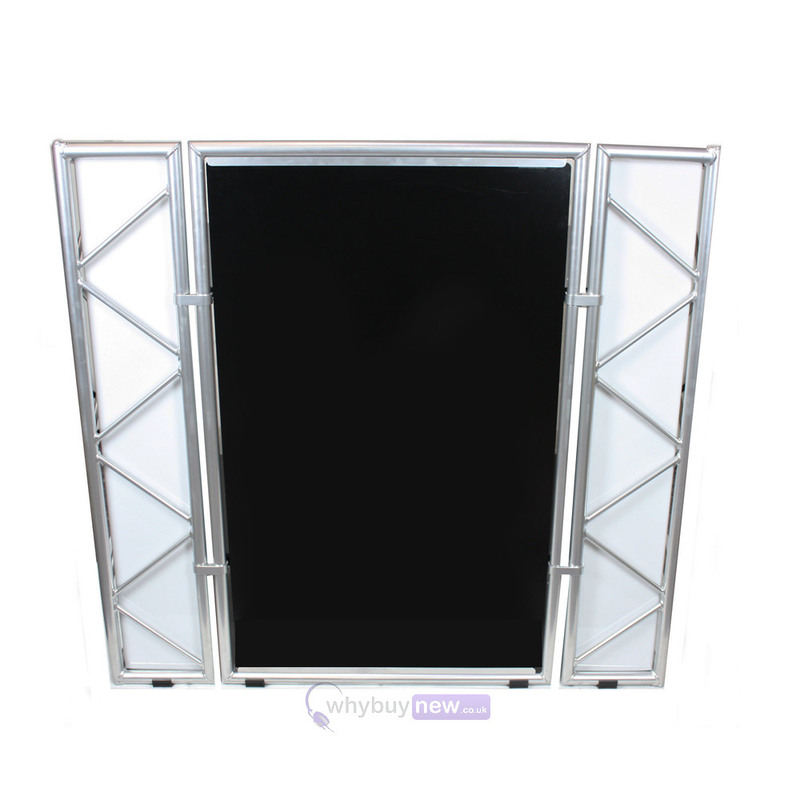 Also included are two specially formed shatterproof polycarbonate panels which are safely housed in the left and right side sections of the frame. These panels block any view of cables inside the console and are perfect for up-lighting effects. The upper and lower shelves have curved profiles on their front inner edges to allow light source from any standard LED Par fixture to flow to the top of the console's side sections. The élite is equipped with eight plastic feet to prevent vibration and scratching floor surfaces. To help with packing and transportation a three-strap locking harness is provided which keeps the frame, shelves and panels safe and secure. Here we have the LiteConsole Elite in new and manufacturer refurbished which will come boxed 'as new' with a 1-year warranty. Buy this amazing LiteConsole Elite with confidence with 100% satisfaction guaranteed or your money back!